A Miami-Dade County shelter is holding 22 immigrant children separated from their parents, including two who are only 4 years old, U.S. Rep. Debbie Wasserman Schultz said Monday. The Democratic congresswoman toured the Monsignor Bryan Walsh Children’s Village in Cutler Bay, one of three places where migrant children taken from their families are being held in South Florida. She said the practice of separating children is “outrageous,” “sadistic” and “demonic.” People who are caught trying to enter the country illegally could be released and monitored electronically to make sure they show up for their court dates, Wasserman Schultz said. “Our country has to do better than us,” she said. 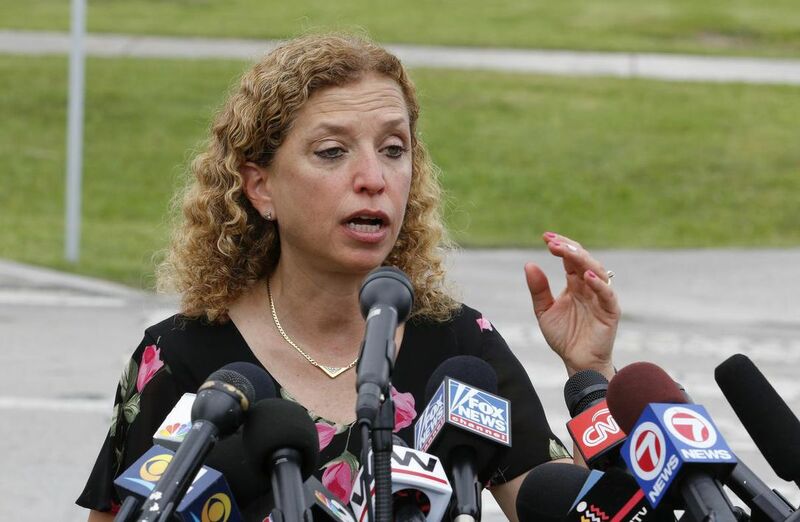 Most of the separated children at the Cutler Bay facility —which was formerly known as Boys Town —appeared to be elementary school age and were from El Salvador, Guatemala and Honduras, Wasserman Schultz said. The Archdiocese of Miami —which has been sheltering immigrant children since 1958 in South Florida —administers the facility. Mary Ross Agosta, a spokesperson for the archdiocese, said Friday she could not say how many separated children were in the facility but it was nearly filled to its 81-bed capacity. Some of the children arrived in the country by themselves, while others were “most likely” separated from their relatives as part of U.S. President Donald Trump’s zero tolerance policy, Agosta said. On Saturday, Wasserman Schultz and U.S. Sen. Bill Nelson toured the Homestead Shelter for Unaccompanied Children, which is holding more than 1,000 migrant children, including about 70 who were separated. His House Children’s Home in Miami Gardens, a 232-bed facility, also is holding separated children, David Castrillon, development director, told the South Florida Sun Sentinel. He said he was barred from saying exactly how many separated children are in the facility.